Padmabati was visibly happy to see me and eagerly asked me about different types of solar products that Mahashkati Foundation offers to it borrowers. Having taken an energy loan and purchased a solar lamp with to overcome problems faced during household chores during power cuts, she is in favour of buying more solar products. She had bought it mainly for her two elder children to study during power cuts. Both her elder daughter and son are in their Pre-University level of education and are gearing up to give their higher secondary examination. Their studies get hampered due to the frequent long power cuts. Their dependence on the kerosene lamp came not only at huge financial but also health cost. 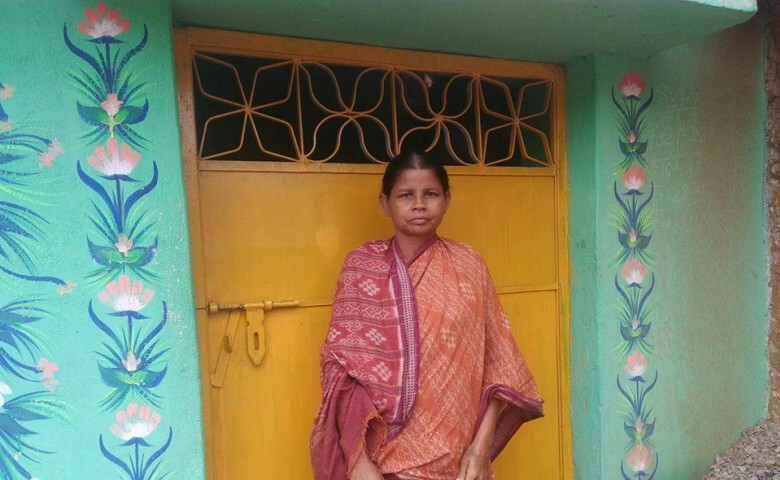 “I had to spend around INR, 300 per month on kerosene just for their studies” said Padmabati. She also faced problems working under the flickering light of the kerosene lamps. Now, after switching to solar energy, she has access to clean energy at a lower cost, is able to save more and has does not get anxious about her children’s studies. It is very important for her that her older children secure their future as they will then be able to guide their younger siblings. She is happy with her decision and is thankful to the lenders for their support.